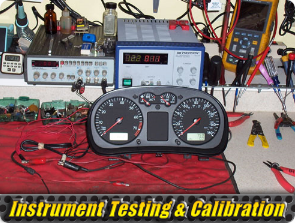 Speedometer Repair Services, Custom Cables - Powl's Lancaster PA Powl's Speedometer tests & repairs electronic and mechanical, foreign & domestic, RV's & heavy trucks. Custom Gauge work, repair, & Tachograph installation. Powl's Speedometer can test and repair electronic speedometers and mechanical speedometers for domestic and foreign cars. Powl's Speedometer can also handle speedometer repair on RV to heavy trucks. Prevent damage to your gauges, meter movements and points, let Powl's technicians install your new gauge faces and recalibrate each gauge. Do you need a tachograph installed or repaired? Powl's installs and repairs many types of tachographs from the chart based Argo and Abbott systems to new computer based VDO units. 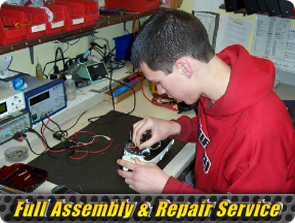 Custom cable assemblies for mechanical speedometers. 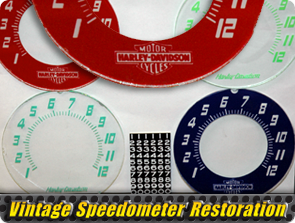 We can restore and re-face speedometers for all vintage vehicles and Harley Davidson Motorcycles.